Master Redden is a 6th-Dan Black Belt and Head Instructor. He instructs Beginners, Adults, Hyungs, Mighty Tigers and Salina Black Belts. Arlen first started Tae-kwon-do at the age of 14. He became interested in martial arts after watching TV shows like Walker Texas Ranger. After doing research on the different styles of martial arts and looking at the schools available in Salina, he decided Tae-kwon-do was most fitting to his interests. With the help of his sister Elina, Arlen was able to convince his family that Tae-kwon-do would be a great family activity. In September of 1995 Arlen began taking Tae-kwon-do from Sun Yi’s Academy. His first instructors at the Salina Sun Yi’s Academy were Jr. Master Susan Seim, Bruce Seim along with Eric Tran and Tom Goding. He also had instruction from Jr. Master Lanny Zadina of the Minneapolis, KS school, and later while training for 3-Dan degree, he received training from Master Bill Cody of Hutchinson, KS. In addition, he has been able to attend Black Belt classes and receive further instruction from Grand Master Yi in Topeka, KS. Arlen currently is the head instructor of the Sun Yi’s Academy, Salina branch and is working hard at maintaining and bettering his skills in Tae-kwon-do. On April 8, 2005, Arlen married a lovely young lady named Hayley who is also working towards perfecting her martial arts skills. Arlen looks forward to what the future will bring for the Salina branch of Sun Yi’s Academy and is very thankful for the group of instructors sharing his dream. 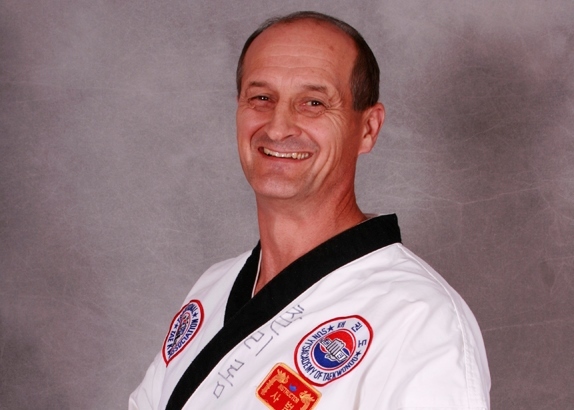 Master Mark Sibilla is a 5th-Dan Black Belt and has more than 20 years of Tae Kwon Do experience with Sun Yi's Academy. He teaches both children’s and adult’s classes, and assists Master Redden with both novice and advanced students. Master Sibilla is a Co-Teacher in the Special Education department at Salina South Middle School where he shares the tenets of Tae Kwon Do and the lessons he has learned through his journeys with his students. Dr. Romm is a 4th-Dan Black Belt and Instructor. He currently teaches a group of students in Bennington, along with teaching classes as needed at the Salina school. 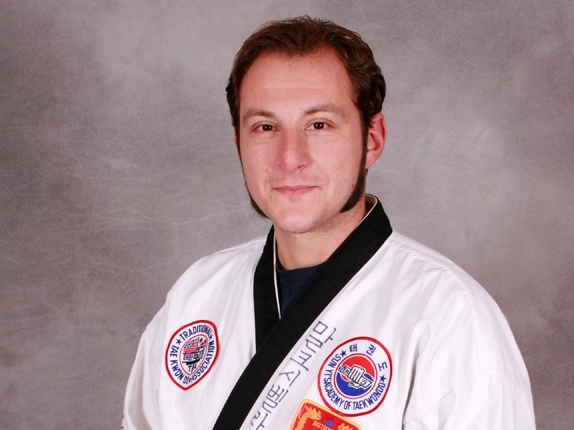 Dr. Romm has been practicing traditional TKD since 1996. In 1999 he earned his 1st Dan Black Belt. His training started in Minneapolis, Ks. under Jr. Master Lanny Zadina. In May of 2003 Dr. Romm began classes under the instruction of Master Redden. In June 2004 Dr. Romm tested for 2nd Rec.Black Belt and earned 2nd Dan Black Belt in August of 2004. In June 2007 Dr. Romm tested for 3rd Rec.Black Belt and earned 3rd Dan Black Belt in September of 2007. On December 3rd of 2011 he tested for and passed his 4th-Dan Black Belt testing. Dr. Romm is a Chiropractor with his office in Bennington, Ks. He is married and the father of fourteen children. 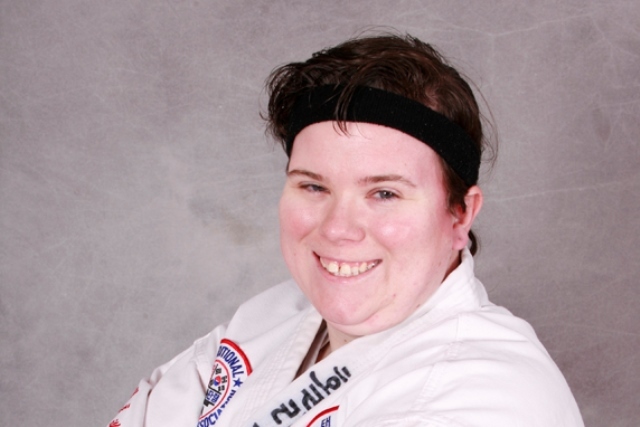 Dr. Romm is blessed to have the instruction of Master Redden and enjoys helping Master Redden teach TKD. If you ask Dr. Romm why he continues to practice TKD he will tell you to improve his skills and that TKD is a great discipline for strength, coordination, flexibility, and mental sharpness, plus he enjoys sparring and trying to kick people in the head, so be sure to keep your hands up. Instructor Gregory Mason has just received his 4th-Dan black belt in TKD. He started his lessons at the age of 8 after begging his parents to take classes. His instruction has come from Sun Yi's TKD studio in Salina from all the above instructors and several others. He sees a bright future to continue in TKD as he proceeds to his 19th birthday. Gregory loves helping teach, especially younger students. A freshman, he attends Ell-Saline HS where enjoys his friends and classes. He wants to pursue a career in computer arts and, of course, continue his lessons at Sun Yi's. I started Tae Kwon Do in 2007 at the Hays Sun Yi’s Academy with Master Biskie. I received my 1st-Dan in July of 2009 right after graduating from Fort Hays State University. Then moved back to Salina and stated taking classes under Master Redden. In April of 2011 I received my 2-Dan, and in December of 2013 I earned by 3-Dan. I have been teaching classes and helping out around the school sense I got my 1st-Dan and continually striving to get better and love helping the color belts improve their skills. 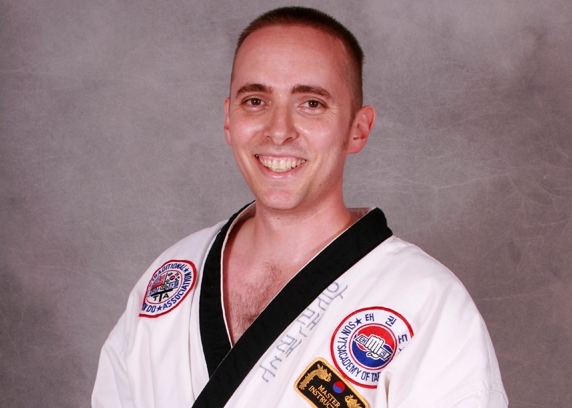 Jason Langen Is a 3-Dan Black Belt at Sun Yi’s Academy of Tae Kwon Do. He started at Sun Yi’s Salina in 2010. After trying out the first class, he knew he chose the right place to train. Jason first started his Martial Arts training at age six in Great Bend Kansas under instruction from (the late) Wayman Johnson, at the Great Bend Karate Institute. Jason earned his recommended Black Belt in (Moo Duk Kwan) Tae Kwon Do at age 13. After Wayman moved to Topeka, Jason continued his training with Master Joe Felke in Great Bend, which is part of Kim’s Academy. At age 15, Jason decided to take a break. That break turned out to be a 20 year break. He came into Sun Yi’s with a determination to make up for lost time. Jason wanted to start out at white belt and go through the journey once again. He achieved his 1st Dan Black Belt in 2012, his 2nd Dan in 2014, and his 3-Dan in 2017. Jason has also earned a Black Belt in Go-Ju-Ryu Karate from Master Sam Price in Hutchinson Kansas. Jason is now looking forward to seeing his daughter and son achieve their goals at Sun Yi’s Academy. Jason enjoys instructing students at Sun Yi’s and handing down his knowledge in self-defense training techniques to students that share his passion for Tae Kwon Do. To read more about Jason's journey in Martial arts please check out his 3-Dan Essay here.